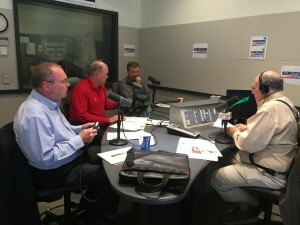 Click to listen to Steve Umberger, District Director of the SBA Baltimore District Office, Ed Podowski, Owner of Digigenics and President of MD Small Business Week Awards Program, Inc., and Tim Bonner, President of Tim’s Automotive & Towing, SBA’s 2015 Baltimore District Office Small Business Person of the Year on the AHA BUSINESS RADIO SHOW April 28th, 2015. Read more about Maryland’s Small Business Week Awards here. The show was full of useful information about the SBA, Maryland’s Small Business Week Awards and the story of Tim’s Automotive & Towing. Don’t miss out on next week’s show on 1300 WJZ-AM at 6pm!